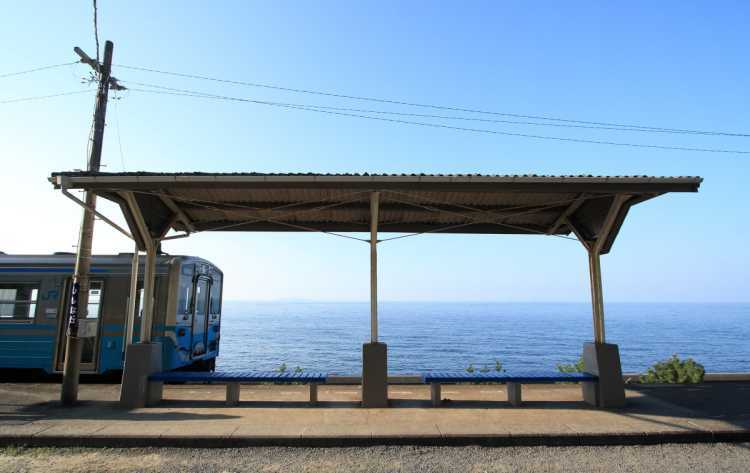 Shimonada Station is well known as a scenic station which is the closest to the sea. It has appeared in movies and TV dramas. And many tourists come to see this beautiful scenery at the time of train arrivals. I want to see it much longer!◎You can only have a look without using trains. You should check the timetable if you want to see the train arrivals because there're a little trains. 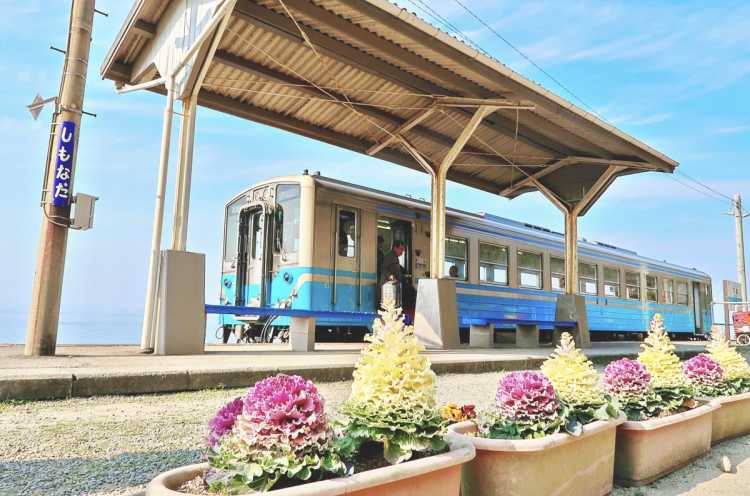 Shimonada is one of the stations of JR Shikoku, located Iyo, Ehime Prefecture. When we stand at the station, the sea is in front of us! For this wonderful view, it has used as a location of movies and TV series. What's more, Shimonada Station is a good place to see the setting sun. 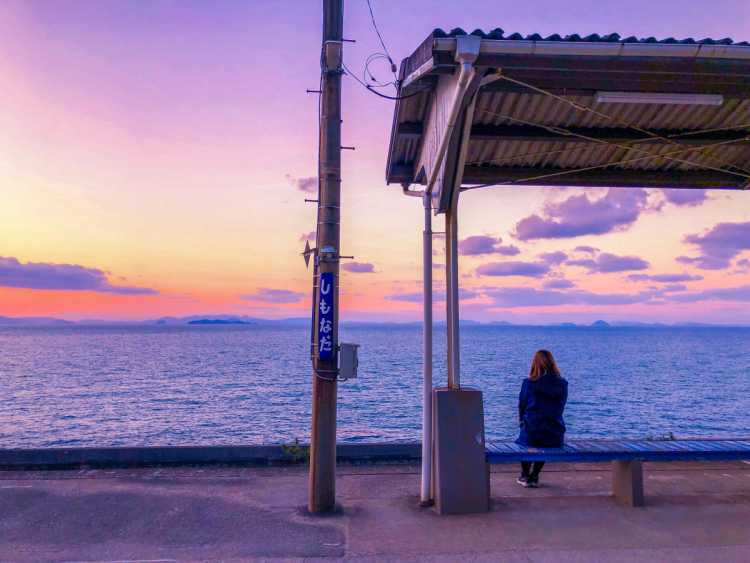 A sunset-view spot 'Shimonada Station' and 'Tracks Disappearing Into The Sea' at Aoishi Beach located near the station. The twilight when the sun sets into Iyonada Sea is beautiful like a one scene of a story. Shimonada is an unmanned station at Iyo, Ehime Prefecture, and famous as a location for some movies, TVseries. 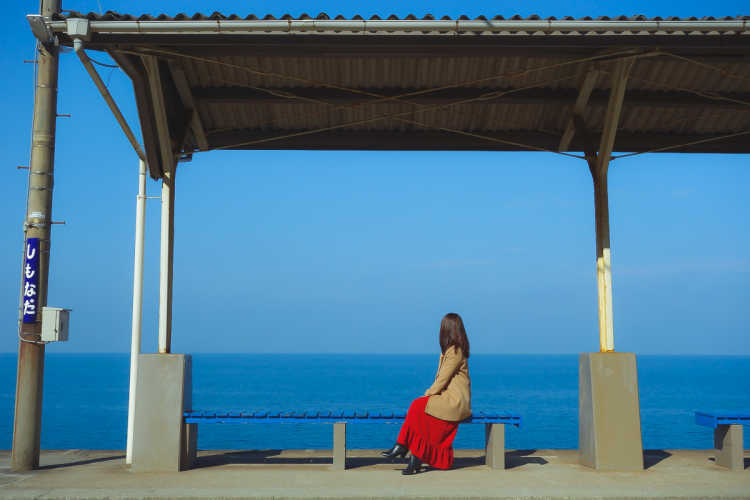 It's located so close to the sea, you can see the beautiful scenery from here, and also the great setting sun.◎Be careful not to trouble the people living near here about car parking or anything else. 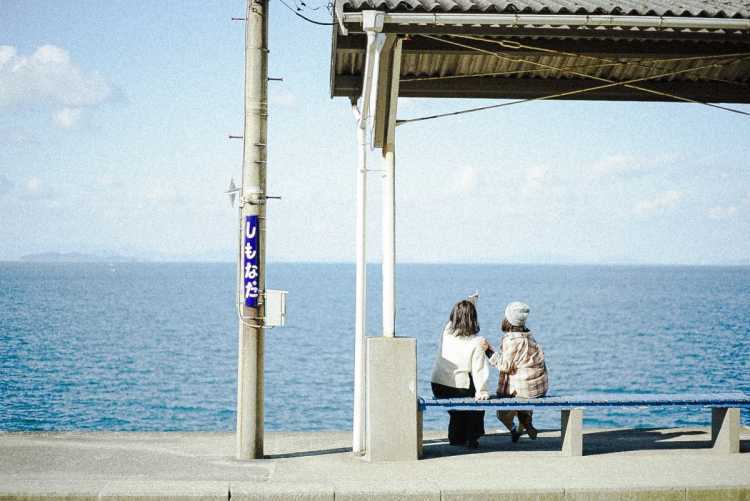 Shimonada Station is a proud station with a superb view in Ehime pref. A simple platform and photogenic Seto Inland Sea behind that. Many tourists visit the station to have a look at the scenery.